Discovered just over a decade ago, the magnificent Göbeklitepe is now acknowledged worldwide as a great historical find. In addition to books, articles, and documentaries, the site will also be featured in Netflix’s second Turkish series, starring Beren Saat. It is not surprising that so many people have heard about the Göbeklitepe excavation: the discovery of the site has since made it possible to rewrite the history of humanity while enabling numerous projects to be carried out accordingly. Let’s take a closer look at this historical site called the ‘’zero point of human history’’ and ‘’The place where civilization was born’’, and open the mysterious gates of history. Before you embark on your Göbeklitepe Tour, here is a brief summary. How do I get Gobekli Tepe? The Gobekli Tepe Story: How was It Discovered? Gobekli Tepe History: Why is It Important? 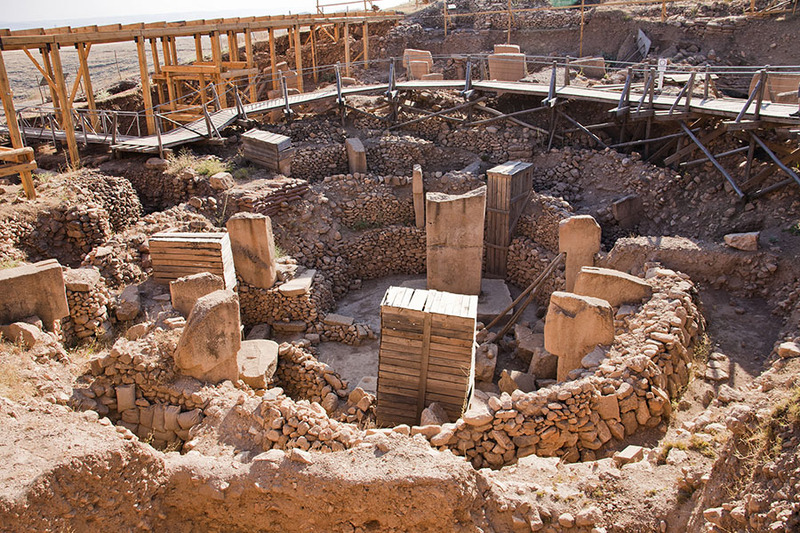 Why Was Gobekli Tepe Buried? Göbeklitepe, near Şanlıurfa (more commonly known as Urfa) is about 15 kilometres northeast of the city centre, near the village of Örencik. After obtaining your Urfa flight tickets, you can reach the open air Göbeklitepe Museum. Click for Şanlıurfa flight tickets. How do I get from Şanlıurfa GAP Airport to Göbeklitepe? You must hire a private vehicle for direct transfers from the airport to Göbeklitepe. There is no public transport available on this line. If you want to reach Göbeklitepe using public transport, you must first go to the Urfa city centre. The Şanlıurfa Airport is approximately 36 kilometres from Göbeklitepe. If you plan to rent a car, you can get support from Pegasus Car Rental service. Göbeklitepe, 18 km east of Şanlıurfa city centre, is located near the village of Örencik. If you plan to go via car from the city centre, you can easily access the D400 motorway in about 20 minutes. Or, you can take the D885 motorway for an alternative route, which would extend the distance. The closest regions to Göbeklitepe are Güzelyurt and Dağeteği. You can find the cities closest to this region below. Getting to Göbeklitepe from the Şanlıurfa city centre by taxi could cost as much as TL 100. However, it is possible to negotiate with the driver and get information – or perhaps, a lower price - beforehand. If you intend to take a taxi from the airport, the price could be as much as TL 200. You can use bus number 100 to get to Göbeklitepe. These buses depart from the Abide stop, a very central point, at 10.00 and 16.00 and return at 12.00 and 18.00. Ticket prices are as follows: Full TL 5, teacher TL 4 and students TL 3. You can get more information from the Şanlıurfa Municipality regarding current fare policy. It is useful to check the visiting hours of this area, known as the world's oldest temple before you arrive, as visiting hours may vary according to summer and winter periods. 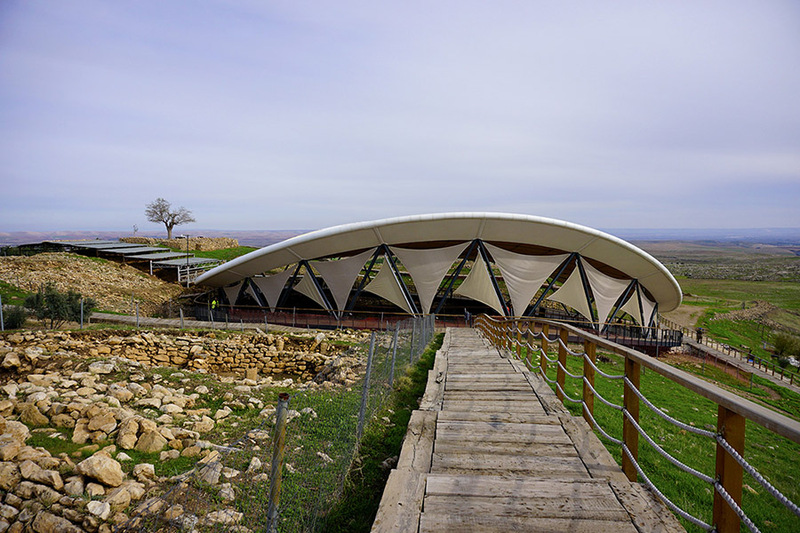 The 2019 entrance fee for Göbeklitepe TL 30. Why was Göbeklitepe closed to visitors? You may wonder why this historical spot did not allow visitors for a couple of months in 2017. The site was closed, due to restoration work, for a short time in 2017. It is now open for visiting. 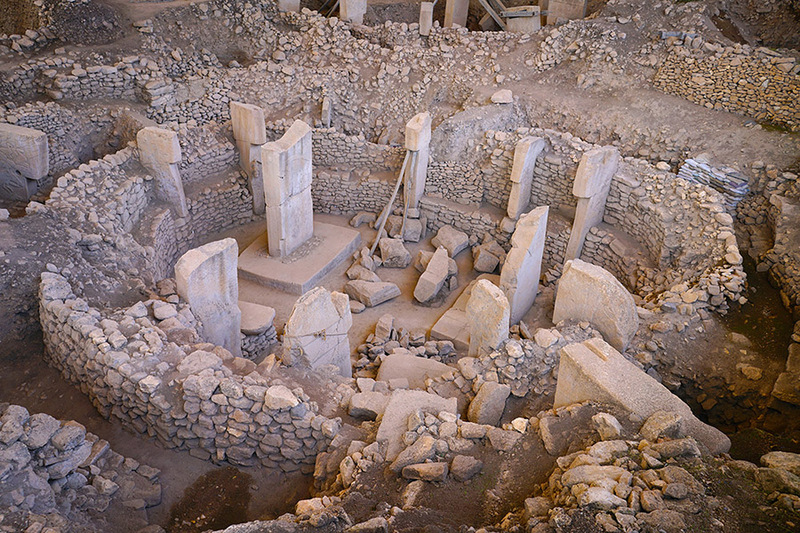 Göbeklitepe, Turkish for "Potbelly Hill" is the oldest and largest known temple in history. 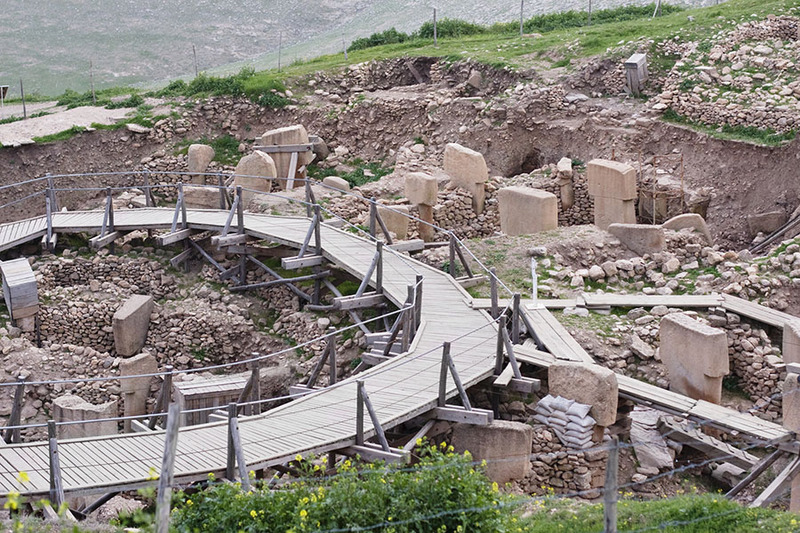 The construction of Göbeklitepe – a structure that includes lines of mammoth columns and heavy stones - still remains a mystery, as tools such as wheelbarrows, etc., did not exist. It is believed that human and pack animal labour was most likely used to transport and place the stones of the temple. The reliefs of animal figures on the columns are definitely beyond time. Göbeklitepe is an ancient structure that reveals that humans had systematic meetings even when they lived as hunters, but the structure’s ultimate purpose is still unclear. The site was declared as a 1st Degree Archaeological Site by the Ministry of Culture and Tourism in 2005 and in April 2011 it entered the UNESCO World Heritage Temporary List. Göbeklitepe, which was on the candidate list for seven years and reshaped history, was qualified to enter the UNESCO World Heritage List with the act of the Committee convened in Bahrain, in July 2018. Göbeklitepe belongs to the Neolithic Age. The site is believed to be 12,000 years old. This makes it older than Stonehenge, the Pyramids of Egypt and Malta’s circa-3600 BC Megalithic temples. Göbeklitepe is the world’s oldest known temple! Research on Göbeklitepe indicates that the site, while considered a settlement by many sources, may have been a meeting point created according to the hunter-gatherers' belief systems, a point built for hunting and exchange – a crucial need in that period. 2019 was announced as the ‘Year of Göbeklitepe’ in Turkey. This means a significant increase in the number of visitors to the world's first temple, compared to previous years. If you want to travel to Göbeklitepe by plane, you can visit our Şanlıurfa flights page for ticket prices. The Göbeklitepe story: How was it discovered? You may wonder why such an important site only recently seems to have made a significant impact. This is directly linked to the start date of the Göbeklitepe excavations. The Urfa Göbeklitepe Ruins, one of the most important worship centers in the world, was discovered in 1963 in the course of the ‘Southeastern Anatolia Research Project’, carried out in the region with the cooperation of Istanbul and Chicago Universities. Although it was discovered in 1963, excavations did not begin until 1995. Research is ongoing today. Göbeklitepe history: Why is it important? As a result of excavations begun in 1995 and continued in the area, six temples were found in the region; the forms of these structures are similar. But this historic site consists of more than meets the eye: geomagnetic studies show that there may be up to 20 temples in the region. In other words, many of the mysteries surrounding the lives of hunter-gatherers in the Neolithic period can be clarified in Şanlıurfa, and human history can be updated with information gathered here. Among the common features of these structures are T-shaped columns. Arranged in a circular manner and composing stone walls, their numbers range from 10 to 12, and they are believed to represent people. In the middle of this structure are two large pillar stones, placed mutually. The symbols of animal, human and abstract beings, depicted on the stones forming the temple, were crafted with embossing or carving techniques. In addition to being the first and largest temple in the world, these symbols are among the oldest known images from the Neolithic Age. The fact that groups composed of small numbers of people in the Neolithic Age suggests that these groups may have been among the first humans to cooperate. In addition, the idea that humans were equal during this period was accepted by archaeologists, but the discovery of Göbeklitepe Urfa modifies this view. According to experts, this complex structure requires specialization in some areas; thus, some of the people involved in the Göbeklitepe construction were experts, and some were laborers. This may have brought about the absence of equality in a public place for the first time in history. Although Göbeklitepe still holds many mysteries, archaeologists have discovered the physical properties of the structure. If you want to know a few facts before visiting Göbeklitepe, note the following details. For instance, it is known that the T-shaped columns, which are considered to represent humans due to the presence of hands and fingers, vary between 40 and 60 tons in weight. However, under the conditions of that period, how and by whom the stones were moved to the area is still a mystery of Göbeklitepe. The techniques used to construct the temple are believed to be unusually advanced for that time. Perhaps these questions will be answered in the future. While opinions regarding the symbolism of these animals vary, many of the figures are pf animals that lived in the area, including wild boars, wild ducks, bulls and snakes. These figures are considered to be guardians of Göbeklitepe and they are thought to be totem animals for luck; as well, these animals may be symbols of the tribes. In addition, the lion images on the columns raise the possibility that lions lived in this region during the Neolithic Age. Nowadays wheat has many variations due to the contribution of genetic science. However, it was first cultivated by humans around Göbeklitepe. 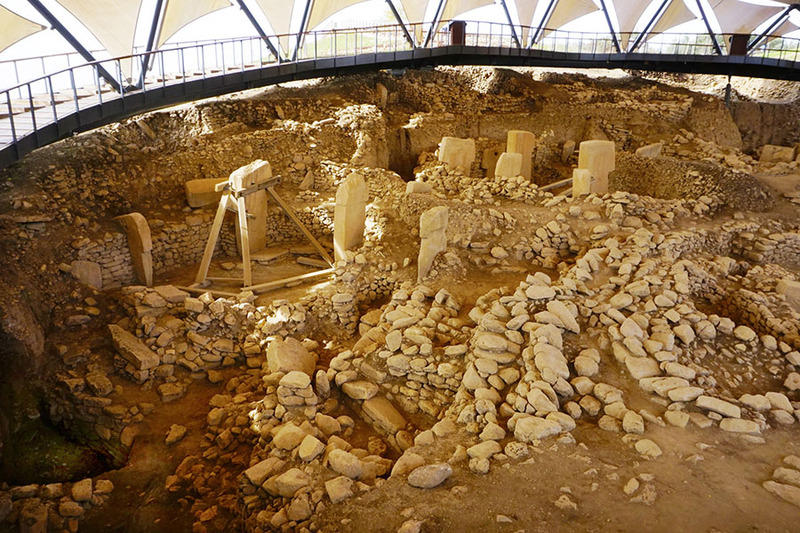 Investigations and research have revealed signs of fermentation on wheat samples found in Göbeklitepe. At the same time, the equipment found around the temple ruins could have been used for brewing beer. Some scientists believe, due to this evidence, that Göbeklitepe was a pioneer in the production of early alcoholic beverages. 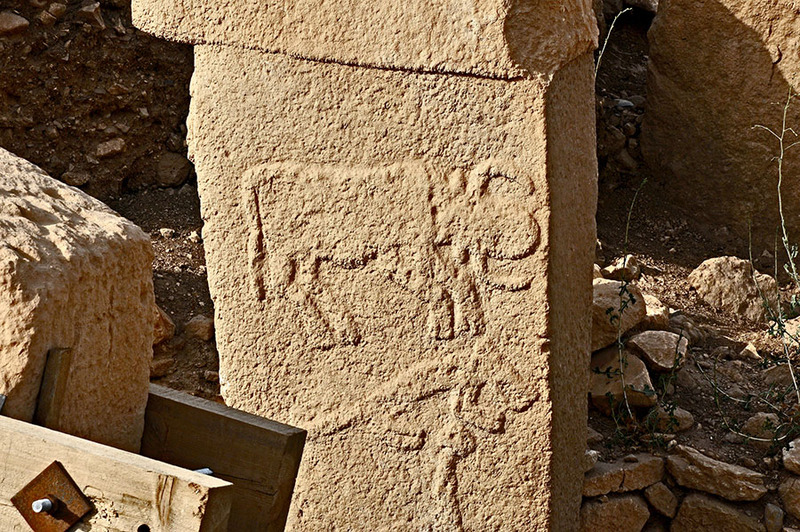 Although a carved stone found by a Şanlıurfa farmer in 1983 was one of the earliest finds in Göbeklitepe, the main studies began in 1995 under the leadership of the Şanlıurfa Museum. In 2007, Klaus Schmidt was appointed the director of the excavation. The floors of the Göbeklitepe temple were designed to be waterproof. The purpose of such a floor supports the idea of rituals that were performed using liquids such as blood, alcohol, etc. in the oldest temple of history. In addition to Göbeklitepe, there are many other places to visit in Şanlıurfa. You can read our article for more information.